To devein shrimp means to remove the black vein running down the back of the shrimp. To do this, make a shallow slit with a sharp knife along the back from the head area to the tail. 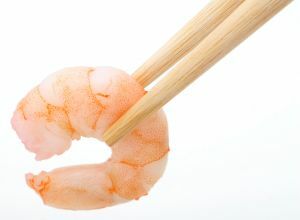 Rinse shrimp under cold water to remove the vein.